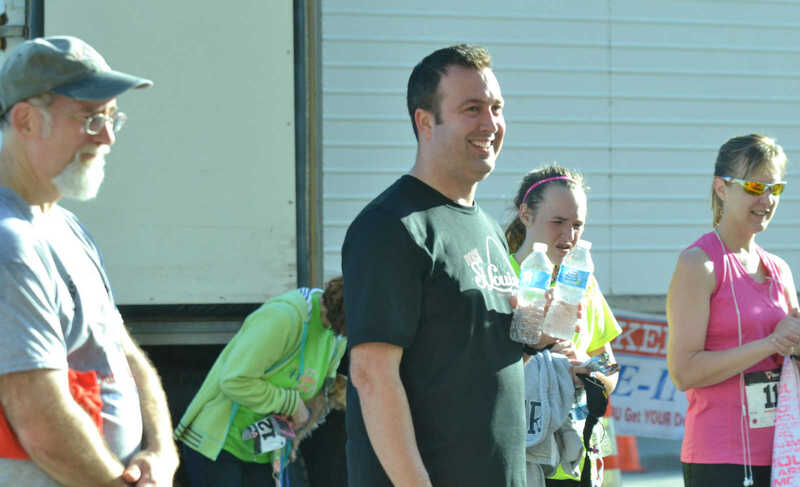 John Gulick, Eric Yates and Jenifer Webb smile for winners during the award ceremony of the Bushwhacker 5K run. 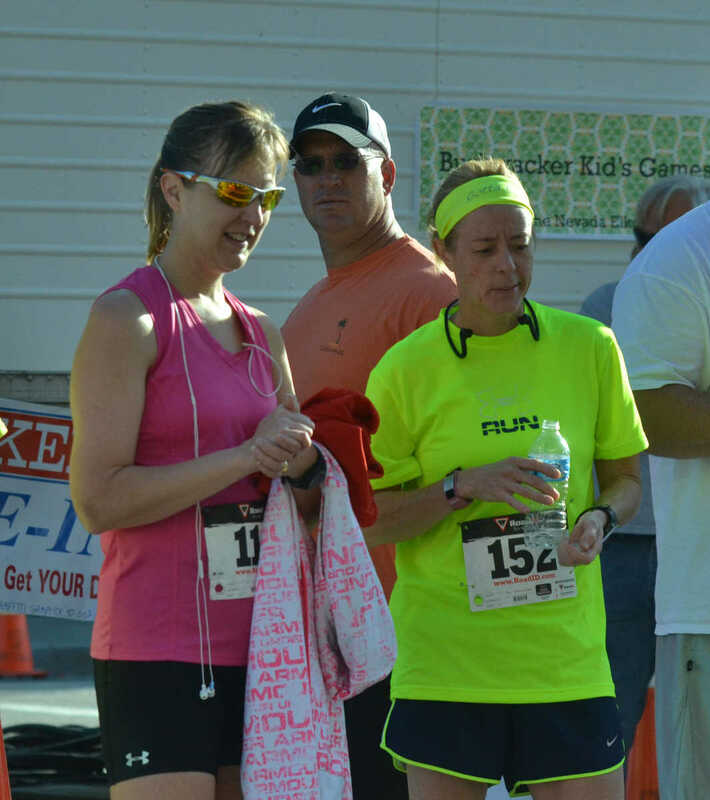 Jenifer Webb and Becky Lowery listen during the award ceremony of the Bushwhacker 5K run. 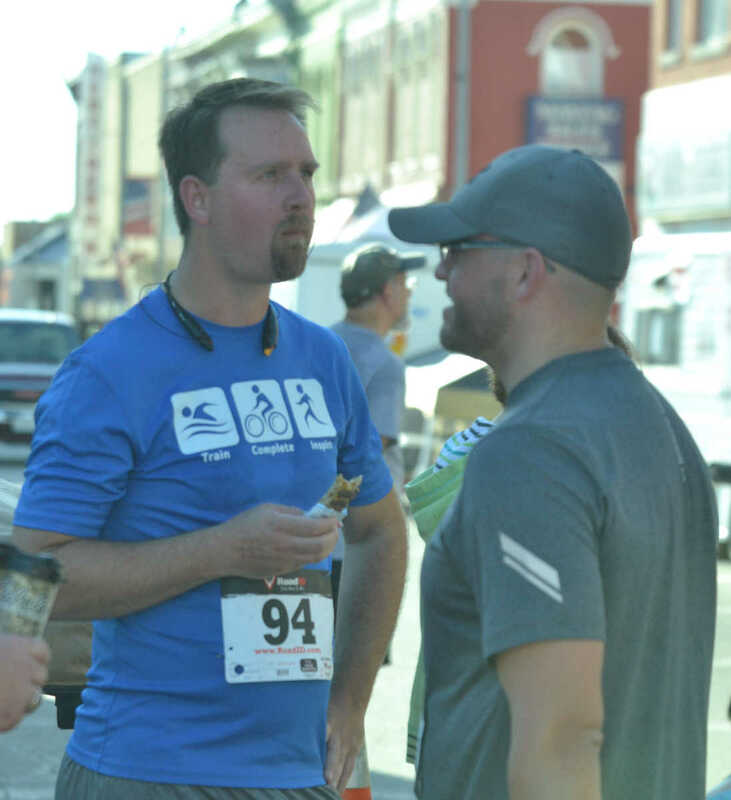 Jon Reneberg and Chris Forsythe, from left, refuel after they finish the Bushwhacker 5K run. 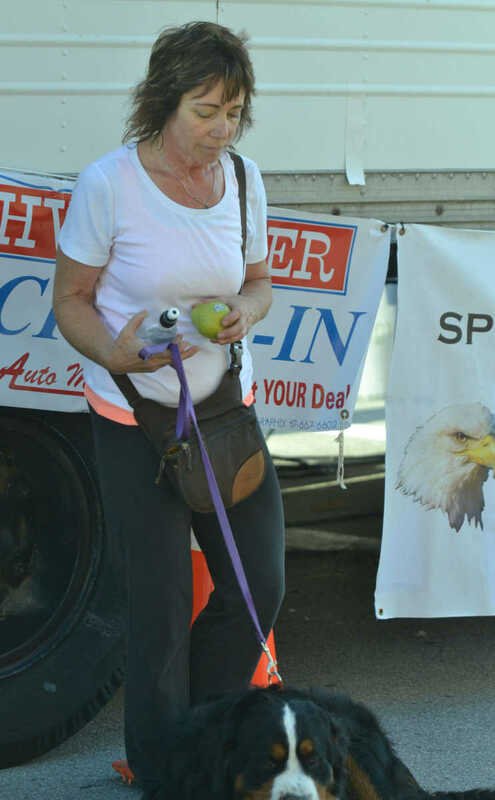 Nancy Seeley and her dog catch their breath after finishing the Bushwhacker 5K run together. 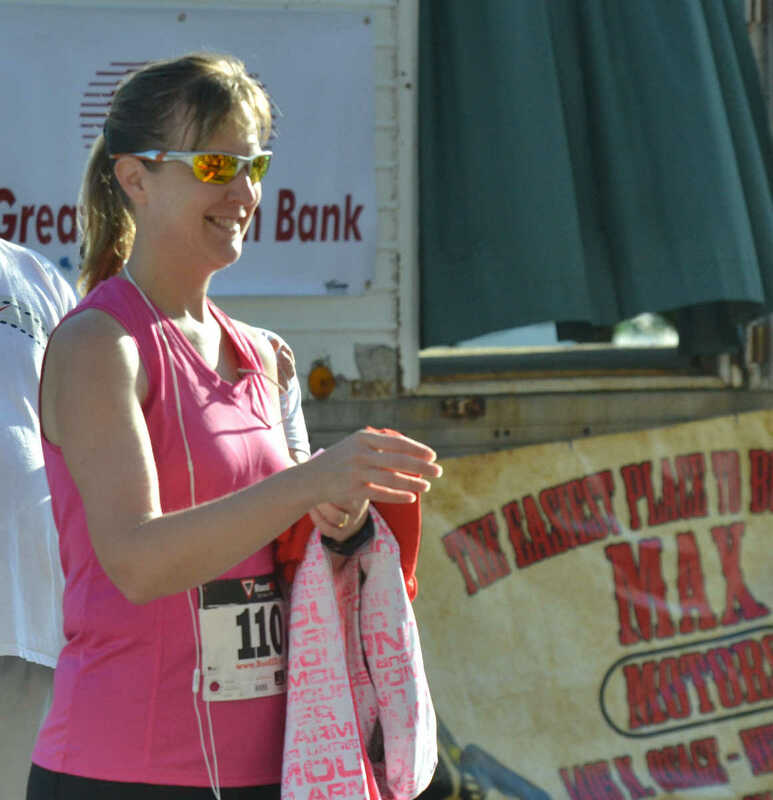 Jenifer Web steps forward to recieve her award for placing second in the 31 to 45 Female category in the Bushwhacker 5K run. 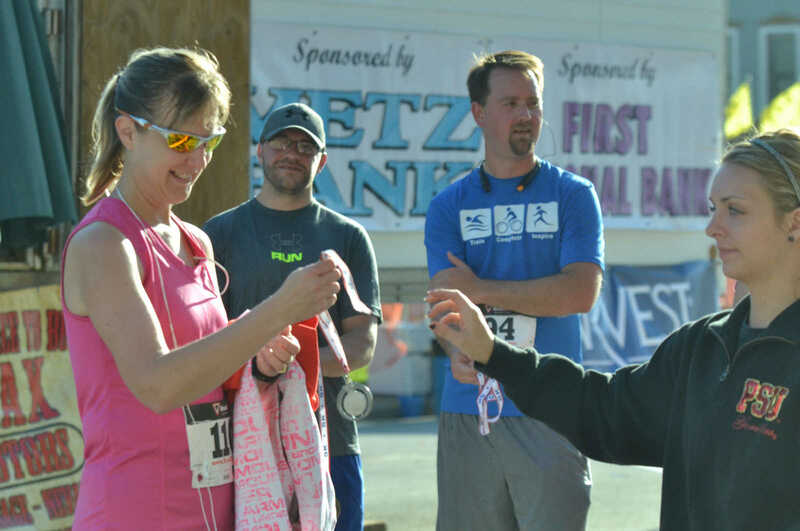 Jenifer Webb smiles as she receives her medal for placing second in the 31 to 45 Female category in the Bushwhacker 5K run. Chris Forsythe and Jon Reneberg, from left, watch nearby.